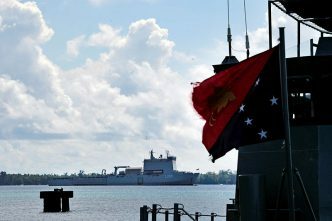 Only a few weeks ago, it looked as though the extent of Australia’s ambitions for Papua New Guinea’s Lombrum Naval Base, HMPNGS Tarangau, was a $5 million contribution to upgrade the wharf facility. Let’s be clear: it’s a small and rather run-down facility. The PNG Defence Force’s Maritime Element is assessed by the International Institute for Strategic Studies to comprise around 200 personnel. 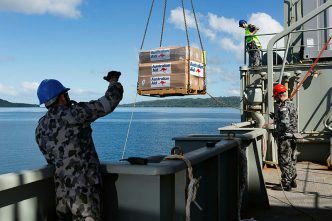 Of the four Pacific patrol boats that Australia gifted to PNG 30 years ago, one has just returned to Australia for ‘environmentally responsible disposal’ and none of the others get to sea very often. They will soon start to be replaced with new Guardian-class patrol boats manufactured by Austal in Western Australia. And today, it’s my privilege to announce that the United States will partner with Papua New Guinea and Australia on their joint initiative at Lombrum Naval Base on Manus Island. (Applause.) We will work with these nations to protect sovereignty and maritime rights of the Pacific Islands as well. That’s rather a long way from fisheries surveillance and the other routine policing tasks that have been run out of Lombrum for years. 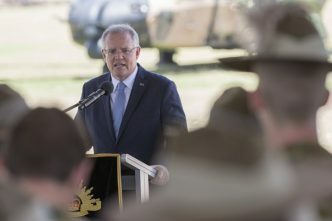 Prime Minister Scott Morrison has been at pains to emphasise that this is a PNG-led initiative, but it’s obvious to all that Australia’s and America’s new-found interest in, and urgency for, defence cooperation with PNG is driven by the need to counter China’s rapid influence-building in the Pacific. 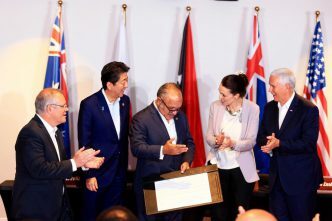 This is a positive development and suggests that Australia is prepared to invest heavily in sustaining a believable leadership position for itself in the region. It also shows that, at least at the level of the vice president, America is prepared to invest more in Asia–Pacific security. Compare Pence’s visit to Port Moresby—where he showed that he’s capable of giving tough-minded but gracious speeches and holding substantive meetings that deliver outcomes—with President Donald Trump’s last disastrous, friendless and feckless visit to Paris. While the symbolism of a PNG–Australia–US joint security effort out of the Lombrum Naval Base is welcome—if only because it means that the Chinese navy isn’t there—we should ask what the strategic possibilities are, today and in the future, for this Manus Island base. 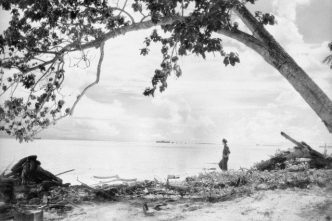 Seventy years ago, Manus and its fine harbour served a vital strategic purpose in helping position US forces for the attack on Imperial Japanese forces in the Philippines. But that’s history. What is the strategic utility of Manus today? First, Manus could act as a useful staging point for maritime operations designed to curb so-called Islamic State and other Islamist jihadist fighters in their apparently easy movement between Indonesia, Malaysia and the Philippines. That could make a valuable contribution to policing an area that’s emerging as a kind of ungoverned maritime zone attractive to foreign fighters. Second, there would be genuine positive value in strengthening PNG’s capacity to police its own northern approaches and to better protect the country from illegal drug, people and money flows. But it’s hard to escape the conclusion that the bigger strategic picture remains coalition building to push back against China’s rising diplomatic and military influence in the region. Since China began reclaiming land and building major military air and post infrastructure in the South China Sea in 2014, Beijing has essentially had an uncontested run to secure military dominance of the region. The best way to limit or complicate Beijing’s consolidation of the South China Sea as a PLA-controlled lake is to present it with a more complicated operating environment that it must take into account to protect its own forces. As the PLA increases its force-projection capabilities with submarines, accurate ballistic and air-breathing missiles, and increasingly capable combat aircraft, the US and its allies need more options to diversify and disperse their own combat platforms. More ports means more options for allied forces to conduct wider operations. In effect, the Lombrum approach is simply applying to China what the PLA has done for itself in the South China Sea—it increases reach, creates more operational choices and complicates an adversary’s planning. Like Beijing’s South China Sea strategy, the Lombrum base needs to also have the protection of air cover. The reality of modern warfare is that surface ships need the comfort of friendly air power to survive. Conversely, as we see in the South China Sea, the presence of potentially hostile air power seriously complicates military operations. This makes Manus Island’s Momote Airport a potentially critical part of the strategic equation. The original airfield was constructed by Japanese forces and expanded by the Americans in 1944 after the island was retaken. At 1,870 metres long, the existing runway can handle Boeing 737–sized commercial aircraft, including for night landings. For maximum military value, the runway would need to be upgraded to support operations by large and heavy military aircraft. Turning Momote Airport into a dual-use military and civilian facility (or indeed locating a new military-grade runway nearer to Lombrum) would start to make Manus a strategic game-changer as far north and west as the South China Sea. In 2016, PNG and a company, China Harbour Engineering Company Limited, agreed on a K100 million (A$41 million) redevelopment of the airport. That’s a pattern involving Chinese business we see all through the Pacific—because Beijing gets air power. Watch for developments at Momote Airport if you’re interested in assessing whether the announcements at APEC go beyond strategic symbolism. Peter Jennings is executive director of ASPI and a former deputy secretary for strategy in the Department of Defence. 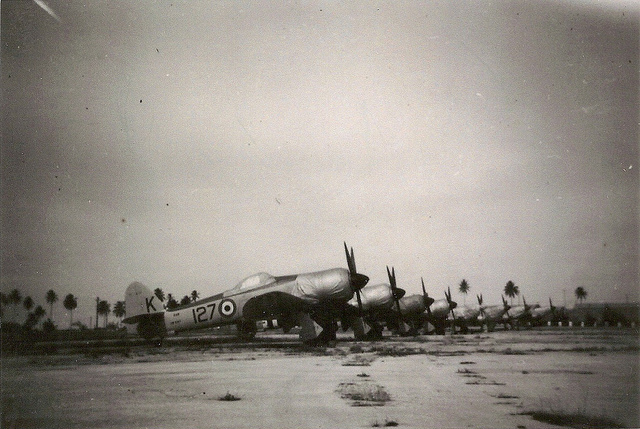 Image courtesy of Jack Duperouzel via Flickr user Horatio J. Kookaburra.